The present-day lakeshore town of San Nicolas in Batangas used to be the site of old Taal, until the violent and prolonged eruption of the volcano forced the relocation of the latter to its present site closer to Balayan Bay. Until 1955, San Nicolas used to be part of Taal itself. In the present day, San Nicolas is among the smallest geopolitical units of Batangas with a land area of 14.37 square kilometers and a population of just 22,623 as per the 2015 Philipppine Census1. Section 1. 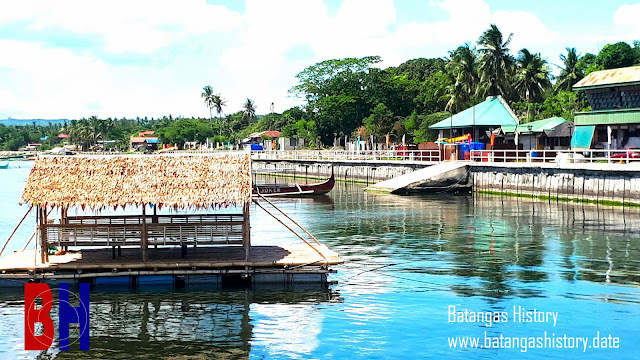 The barrios of San Nicolas, Gipit, Bangin, Pansipit, Calangay, Sinturisan, Talang, Abilo, Balete, Bancora, Saimsim, Maabud, Mulawin, Tambo, Calumala, Alasas, Calawit and Pulangbato, are separated from the Municipality of Taal, Province of Batangas, and constituted into a new and separate municipality, to be known as the Municipality of San Nicolas, in the same province. Section 2. The municipal mayor, vice-mayor and councilors of the new municipality shall be appointed by the President of the Philippines to hold office until their successors are elected and have qualified. Section 3. The municipality herein created shall be organized on the date fixed by proclamation of the President and upon the appointment and qualification of its officers. 1 “San Nicolas, Batangas,” Wikipedia. 2 Taken from “An Act Creating the Municipality of San Nicolas, Province of Batangas,” online at CorpusJuris.com.